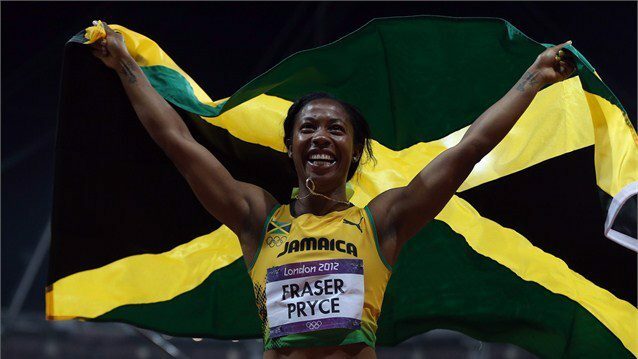 Shelly-Ann Fraser-Pryce won gold in the 100m dash, at the London Olympics Games. 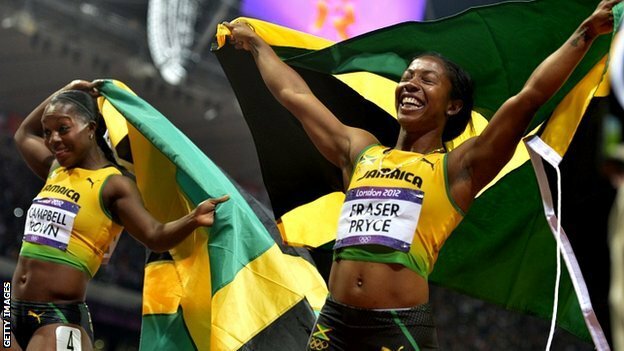 So proud, big up Shelly-Ann! Thanks for bringing home the gold! Congrats Veronica Campbell-Brown! This entry was posted in Big Wonders In Jamaica, Jamaica, Jamaican Athletes, Jamaican Women, Photos, World Leaders and tagged Fastest woman, Gold medal, Jamaica, Jamaica Athletes, London, Olympic Games, Olympics 2012, Shelly-Ann Fraser-Pryce, Veronica Campbell-Brown. Bookmark the permalink. 1 Response to The Fastest Woman in the World!